Exfoliation brush to reveal even more radiant skin.Exfoliation brush to reveal even more radiant skin. 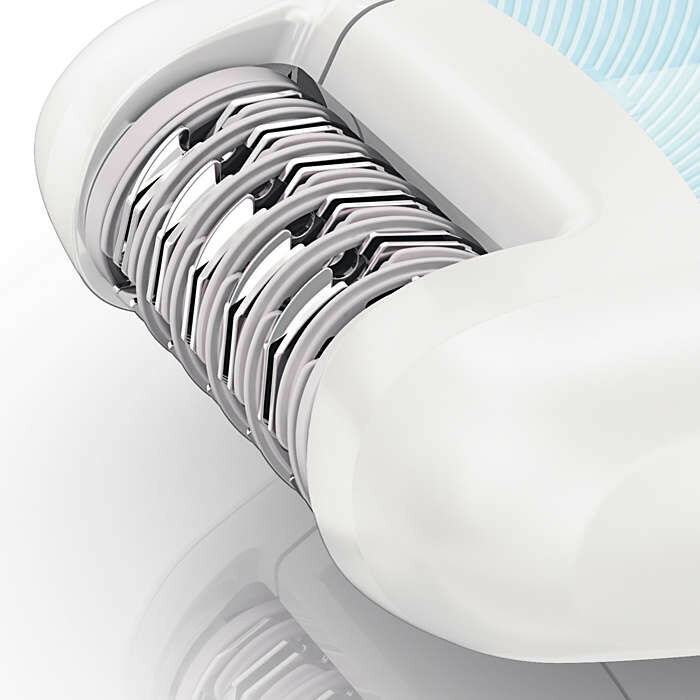 Unique Philips design which contains hypo-allergenic bristles for optimal hygiene, fits perfectly in your hand for optimal handling in all conditions and can be used wet and dry. Vibrating massage bar stimulates your skin, Gently vibrating massage bar stimulates and soothes the skin for a pleasant epilation process. 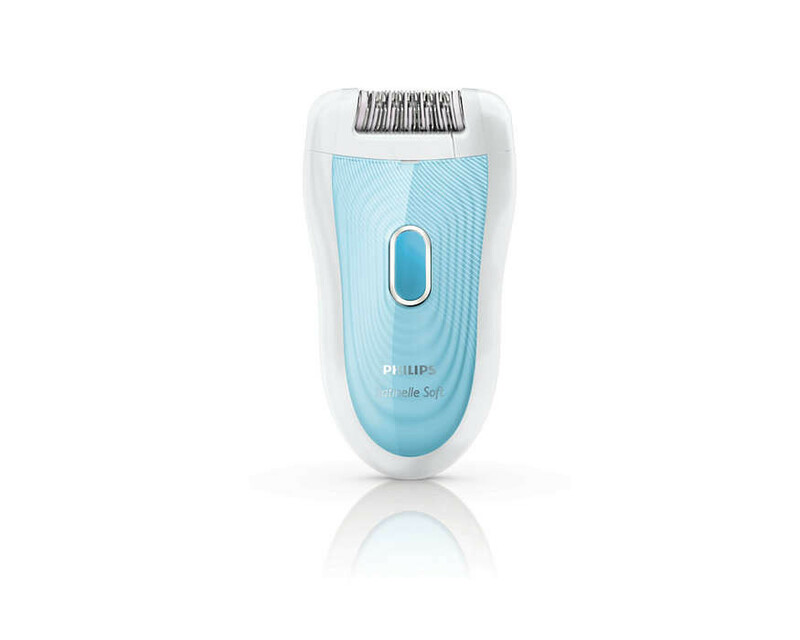 Gentle tweezing discs remove hair without pulling the skin, This epilator has gentle tweezing discs to remove hair without pulling the skin. Wet and Dry for use in and out of the shower, For wet and dry usage. 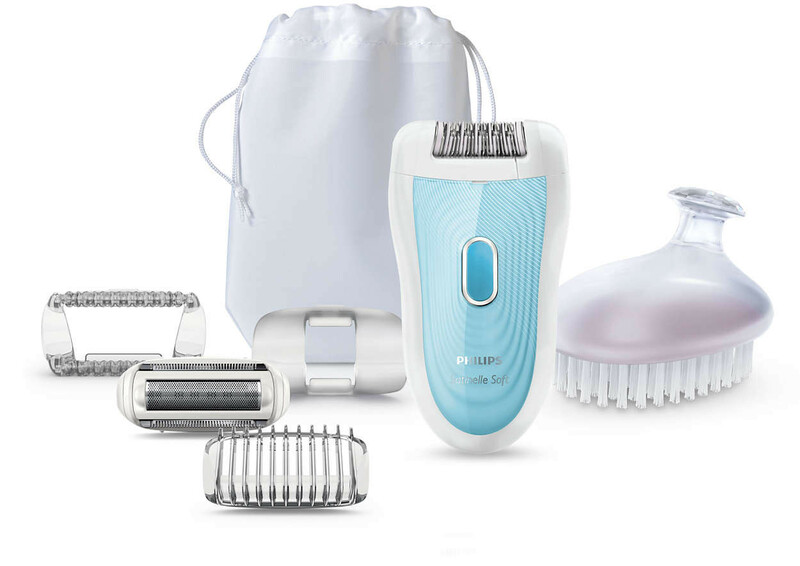 Shaving head perfectly follows contours for a smooth shave: Detachable shaving head perfectly follows the contours of your bikini line or underarms for a close and smooth shave. Comes with trimming comb. 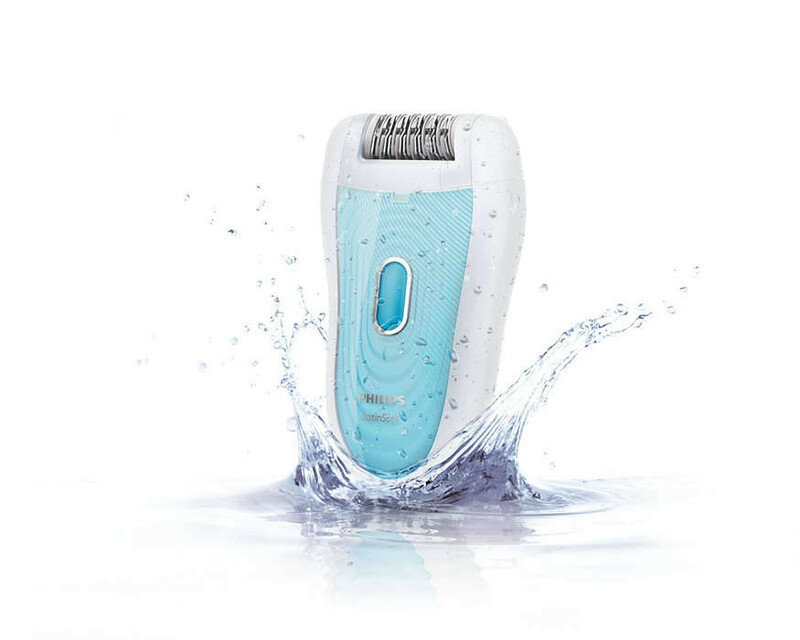 Fully washable epilation head for optimal hygiene: The head can be detached and cleaned under running water for better hygiene.